A top Russian state official has criticized a proposal to bring in a law limiting the number of seats held by any single party in the 450-seat Lower House to 226. ­ The first deputy head of the Russian presidential administration, Vladislav Surkov, was commenting on a suggestion made by Mikhail Prokhorov, leader of the Right Cause political party who is currently spearheading an aggressive PR campaign to raise his party’s profile as parliamentary elections near. Surkov said that it was very unlikely that the proposal would be accepted as it contradicts the basic principles of democracy and violates the voters’ rights. As well as Friday’s proposal to limit party representation to 226 seats for the next two terms, Prokhorov also suggested that the ruling party must not receive more than half the posts in the parliamentary committees and should give 25 percent of all seats to single-constituency deputies. Prokhorov told reporters that he had submitted these suggestions to President Dmitry Medvedev at a personal meeting. On Monday, President Medvedev called Prokhorov’s reform plan “exotic ” but ordered his administration to study it nevertheless. However, deputy chief of administration Surkov said that this was simply established practice – all suggestions submitted at official meetings must be forwarded to the administration for examination and no exception was made for Prokhorov. 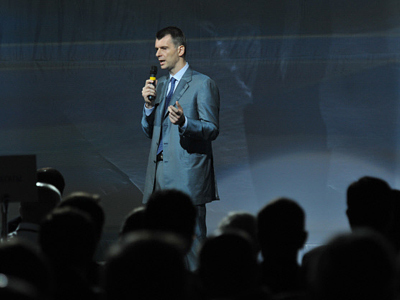 Prokhorov, who is a billionaire and one of Russia’s richest businessmen, entered politics only recently as the sole leader of the Right Cause party – a small organization with a pro-business and democratic orientation, an heir to the openly monetarist party the Union of Rightist Forces that used to have a faction in the lower house but ceased to exist after getting less than one per cent of votes at the 2007 parliamentary elections. Prokhorov has declared that he wants the party to become the second-largest faction in the state Duma and published a manifesto comprised of moderately populist statements and a critique of Russia’s current problems. 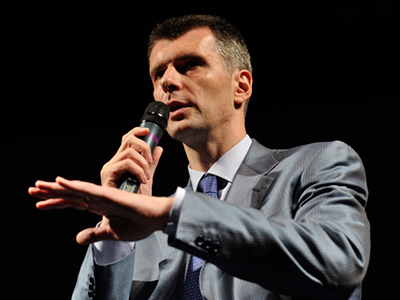 Prokhorov’s own suggestions – including his recent proposal to limit democracy or to include Russia in the Eurozone – have been viewed as bizarre. 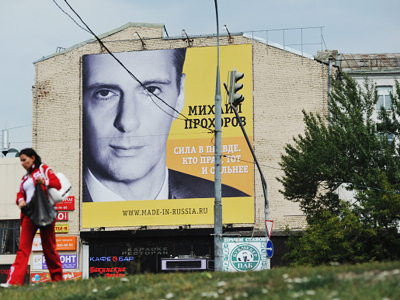 The Right Cause reacted to Surkov’s criticism by issuing a statement saying Surkov was acting in the interests of the ruling United Russia party which currently holds a majority of seats in parliament. The statement added that without amending the law, it would be impossible to prevent the total falsification of the elections. 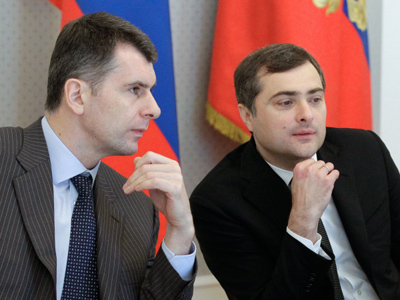 Surkov is one of the founders of the United Russia party, but political analysts say he is not actually a party member.